Home » Village History » Rothley War Memorial » BISHOP W.L. Killed in action on the 16th August 1918 in the France and Flanders Campaign aged 19. 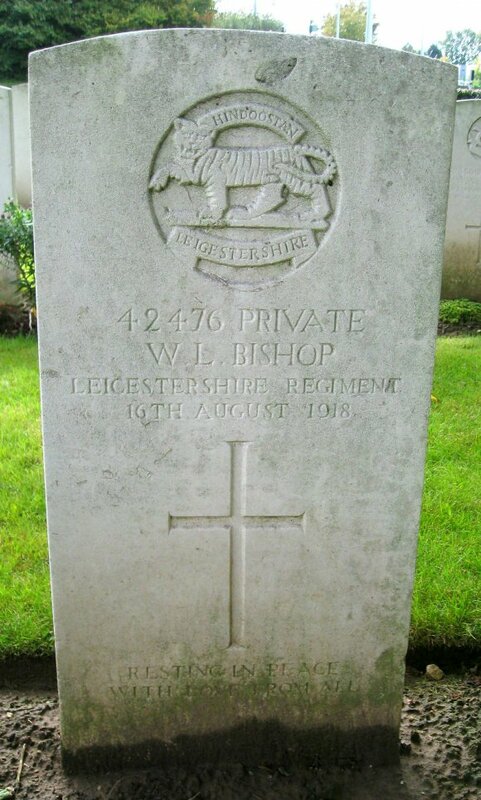 Son of Walter Wilfred Bishop and Alice Mary Bishop of Arnold House, Woodgate, Rothley. Walter was born in Leamington, Warwicks, brother to Doris Kathleen, Eva Winifred, Ruth Lilian, Hilda Kitty and Eric Osmond Bishop. GORRE, RIGHT. At 3.30am. Enemy fired 6-10 minute bursts of hurricane fire with guns of all calibres onto front line system, particularly heavy round ROUTE A KEEP and TURNING FORK. Direct hits were obtained on our trenches and in several places but casualties were comparatively slight. 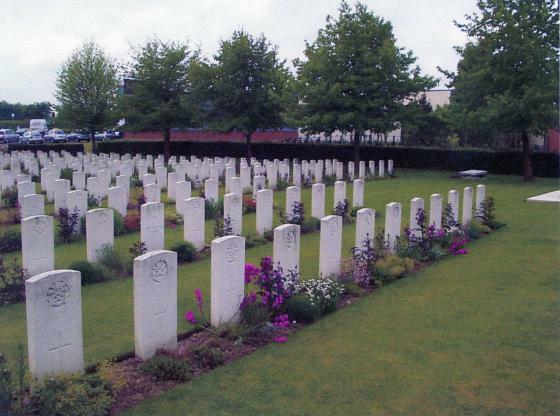 During remainder of day enemy were quiet in front line. Work went on very rapidly on new piece of RESERVE LINE. At 9.15pm. Enemy suddenly shelled working party of the 4th Battalion (Leicestershire Regiment) on RESERVE LINE with 10.5cm High Explosive and Blue X. Around 600 rounds fired and no casualties caused, though owing to presence of gas work had to be stopped in that section for the night. Otherwise night quiet in forward areas though back areas heavily shelled. Some rain.